IT architects, also known as network architects or engineers, assess system requirements in order to setup and maintain computer networks for organizations, companies and other users. IT architects may benefit from holding industry or vendor certifications in computer networking, operating systems, servers or other devices. They work in an office setting, monitoring system performance and addressing any networking or server-related issues. These professionals may field technical inquiries from other associates, train newly hired employees and plan new networks. IT architects may also be responsible for reviewing existing software and hardware for efficiency, as well as staying abreast of new programs, which may be beneficial for installation. The primary duties of an IT architect are to design and maintain computer networks. Architects use computer design software to model and test network plans prior to implementation. Additionally, they may use these programs to simulate adding new hubs, changing routers or making other modifications to existing networks. IT architects may act as managers and are responsible for scheduling technician assignments and assessing budgetary needs, which may include estimating upgrade costs or switching Internet services. 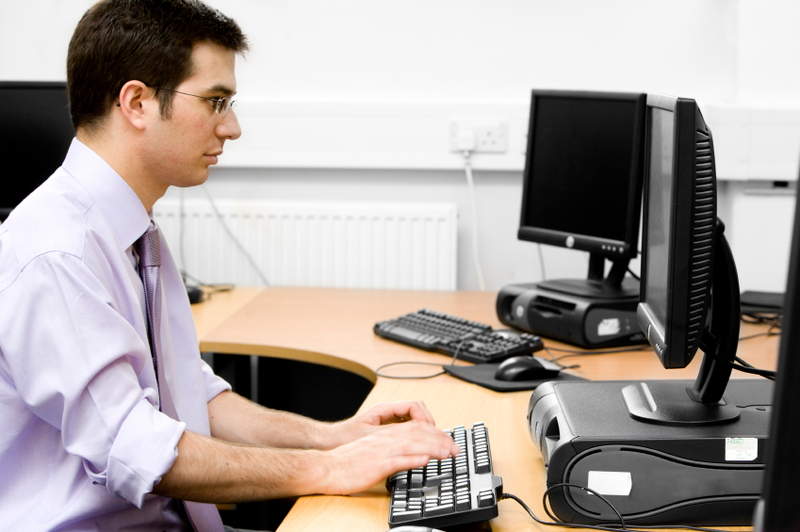 Other duties may include conducting computer support personnel evaluations and coordinating future direction on technical issues, such as obsolete software. The main responsibilities of the IT architect are to resolve technical issues, to ensure that all parts of the technical design are correctly incorporated, to define the development tools and environment, to provide technical support and technical quality control throughout all stages of the project and to synchronize retailer services linked to the selection and implementation of necessary technology. They are the link between the application architect, project manager, data architect and network specialist and application engineers. Every team member requires a mixture of specialized skills and interpersonal skills, depending on the exact role assignment on a project. The technology architect should be able to perform the actions and tasks for which they are responsible, to apply the techniques needed to complete the responsibilities of this job and to use the tools required by these activities. In addition, the architect role requires a high level of leadership skills. The necessary level of aptitude increases as he progresses to more senior roles. The person who wants to became an IT architect must have an advanced understanding of IT infrastructure and enterprise architectures, strong understanding of software engineering principles, profound knowledge of software and technology infrastructure, fine knowledge of industry trends and emerging technologies, and must be skillful in developing enterprise level software and infrastructure solutions. The responsibility of technology architect is to drive all technological feature of the stream to combine present and future architecture, to propose practical strategies and present originality with the help of technology. Technology architects will be in charge of tracking the company application portfolio and assists project teams to shape architectures consistent with platforms, roadmaps and standards for architect and design. His resume objective is to seek a challenging and a good position as a technology architect and to constantly grow in that domain. Also, an IT architect should collaborate with consultants, businessmen and with other professionals, such as dedicated technicians and business strategists and should respond to clients' questions and offer technical solutions. Preparing for a career as an IT architect begins with completing a bachelor's degree program in information systems or a related field. Students usually begin with introductory classes, such as knowledge organization, database creation and operating system basics, those who have progressed in the course may delve more deeply into intermediate and advanced topics including management support systems, network security and system design. Most programs also offer students the option of conducting a research project in which they apply learned knowledge with approved research in order to analyze risk management techniques, system design assumptions or other information science issues.